The Last Chance Riders. That is a cool sounding band name. Yet you should not read too much into it. While it could give the impression of a group tiredly heaving up a final Hail Mary pass, hoping for a miraculous win, this Atlanta quintet is coming out of the gate strong with a string of impressive live shows and a new album. Better to think that “at last” their hard work is paying off after “by chance” these five players found the simpatico band mates they needed to create music like they have always wanted. He brought with him a notebook of songs and lyrics three inches thick - like Gandalf’s book. At that time, John and Jim shared a house and one day John came home to hear the strains of bass, guitar, and drums from the studio set up in the basement. Jim and DeWitt were working through some of his songs and John asked if he might sit in. Jim recalls that “DeWitt was well ready because he brought with him a notebook of songs and lyrics three inches thick – like Gandalf’s book.” As they played together there was a palpable instant musical empathy. 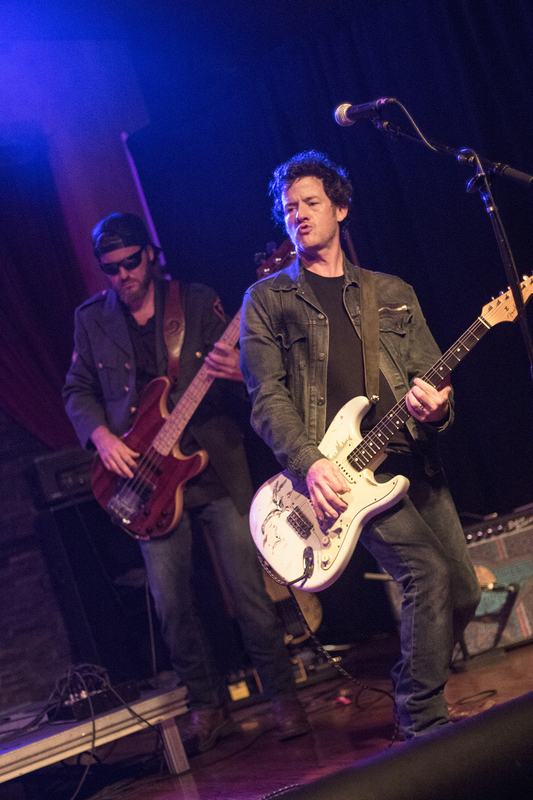 DeWitt had usually been the single lead guitarist in his former bands and thought “I needed another guitar player like I needed a hole in my head,” but he had to admit that John’s playing brought a complementary element that added sonic interest to his songs. 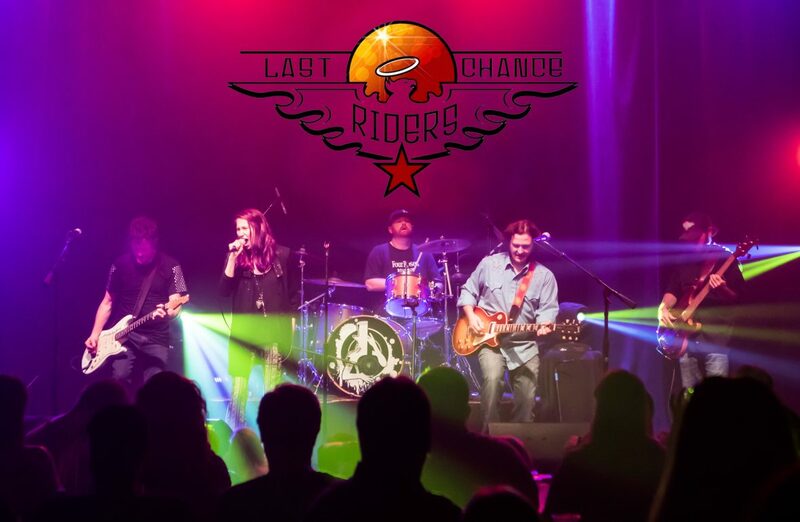 After several weeks of basement sessions, the group began to play out regularly as The Last Chance Riders, with DeWitt taking lead vocals. The quartet was fairly well established by the end of 2017; however, they were considering the need for an additional vocalist. Jessie was involved in another band, and looking for a guitar player, she reached out to John for recommendations. John suggested instead that Jessie might consider joining The Last Chance Riders, and although Jessie was not ready to turn her project upside down, she offered to give it a try. 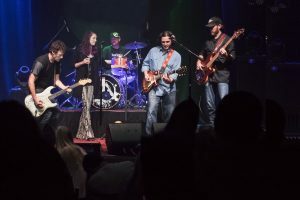 Once again, Jessie joining the band resulted in an immediate spark and a few weeks into 2018, the new Jessie-fronted band began playing area clubs. Just as the band was planning to go to the studio to record their first album, they found themselves without a drummer. The aggressive performance and practice schedule created challenges for the original drummer and he had to step away from the band. 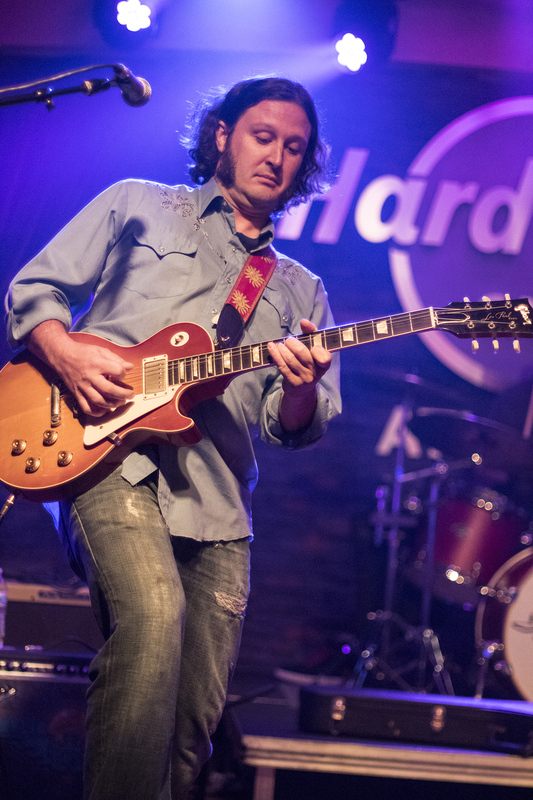 Through a gig at the Rockin’ Taco in Buckhead they became acquatinted with Shane, who runs live performance events at the venue through his company DMT Logistics. While Shane has played drums since the age of thirteen, the past five years he was focused on playing guitar. Undaunted, they convinced him to help out the band as they went into the studio. Shane went into it with just a few days to prepare. At their very first practice with Shane, the other four band-members heard drumming unlike anything they had heard before and knew they had found their new member. The last piece of the puzzle clicked into place. The band retreated to the woodshed to practice before playing out live and recording their album Jet Lag Super Drag, released June 22, 2018. What we have so far is a product of our gelling musically, personally, and of our commitment to music. How often do you find the people with whom that happens – once in twenty years? Longer? We do not take that for granted. Capturing the energy and electricity of their live performances, Jet Lag Super Drag is a strong debut. This quality was not by accident, John says, “We really just plugged in and hit record. There is minimal overdubbing. 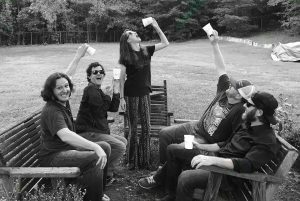 You hear us as we are live.” The band gives much credit to producer John Briglevich, awarded the 2013 producer of the year at the Georgia Music Awards, who oversaw the recordings at his Sonica Studios in West Midtown. John Woods offers, “We knew he could capture that live sound.” John Briglevich is also able to write and create orchestral arrangements, and thus could suggest additions or changes that really added to the tracks. “He made it really easy for us. We cannot say enough about John as a producer, a guitarist, and a human…he is a secret weapon…and we don’t want to let that secret out!” says John. DeWitt adds, “I never liked when the record sounded different than the live show.” That is not a problem here, as Briglevich helped LCR achieve a sound that is big and anthemic enough that the album’s tracks are equally comfortable played in a bar or from an amphitheater stage. 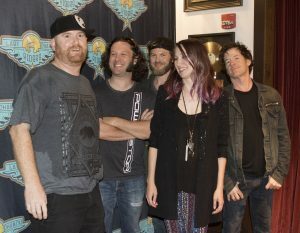 The band cites a number of influences on their style – The Allman Brothers, Janis Joplin, The Rolling Stones, Susan Tedeschi, and AC/DC – to name a few. While there are bits of all of these influences heard in their songs, none of them sound derivative. Indeed, there is a timelessness to their music, and it is easy to imagine they would have found equal popularity and radio play in the 70s, 80, 90s, on up to today. The songs have hard, powerful, driving drums and in-your-face guitars, but there is always melody in front and a great blending of harmonies in choruses. There are essentially two lead guitarists with different playing strengths and even different guitar brands – in their own way harkening back to when this was common with The Allmans, Aerosmith, Guns N’ Roses, or even Styx. A good example is the opening of “Under Your Skin” where DeWitt channels Keith Richards, starting the song’s signature heavy guitar riff before John joins with some solo lines over it, conjuring the jam bands on which he grew up. Shane and Jim in the rhythm section anchor the songs, giving the guitarists freedom to play around the beats. Many of the songs appear to have themes of making one’s way through the world, persevering even as one is hit by challenges. Jessie concurs, “As the vocalist, I need to get into the songs, and I cannot 100% know the stories behind the songs, nor would I necessarily want to have DeWitt lay them all out. When I sing the words, the meaning comes from places of hardships over and over again, countered by the endurance that we all need as people just to wake up the next day and try even harder. Failure happens, and you may fall on your face, but you must keep getting back up and just rocking the world day after day.” Indeed, many of the lyrics are universal enough that there are meanings applicable to experiences in most any listeners’ lives. DeWitt says “Jessie is, by far, one of the best singers in Atlanta today. What is great about having a dynamic female singer, a power diva if you will [laughs], is that it changes our whole dynamic. One cool thing is that it can bring new perspectives to a song, breaking down any gender limitations. It makes me think of generalizing my songs and striving to make them more universally appealing.” DeWitt continues about John’s playing, “While I had often been lead guitarist in previous bands, on the first song that first day in the basement, I could only remark that there was absolutely nothing wrong with [John’s] guitar solo. Hundreds and hundreds of guitar solos later, there is nothing wrong about any of those solos.” The others also call out John’s organizational skills and his role in keeping the band on task. John summarizes, “We joke that we are the hardest working band In Atlanta, but in some ways it is not really a joke. We are all working hard together, yet still it sometimes can seem like ‘can this really be happening to us?’ What we have so far is a product of our gelling musically, personally, and of our commitment to music. How often do you find the people with whom that happens? Once in twenty years? Longer? We do not take that for granted.” Undoubtedly there will be many chances for The Last Chance Riders. Make sure you take any chance you have to see them play. Memorable gigs around town All of them!